A tasty, flavorful dressing can take your salad from good to great, but beware. An otherwise healthy salad can quickly be turned into a fat and calorie bomb if you add too much dressing. 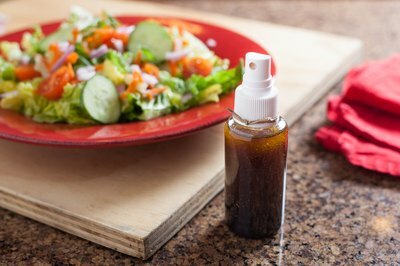 Salad spritzer dressings -- usually a combination of your favorite oil and vinegar -- are an effective way to tightly control the amount of dressing you add to your salad without sacrificing any of the zesty flavor you're craving. 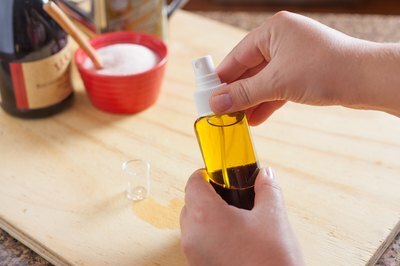 Combine 1 part vinegar and 3 parts oil in the spray bottle. A small funnel can help minimize mess when pouring. Ensure that the bottle is tightly closed, then shake well for 30 to 60 seconds. Remove the bottle top and add a pinch of salt. Close the bottle and shake well for another 30 seconds. 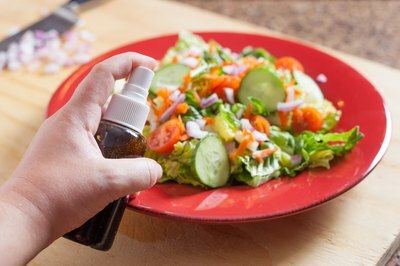 Add herbs and seasonings directly to the salad, not in the dressing, since they can clog the sprayer. 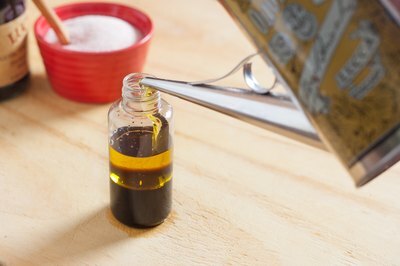 Olive oil and balsamic and red-wine vinegar are popular choices, but other options include walnut oil, grapeseed oil and sesame oil, as well as rice vinegar, raspberry vinegar and white vinegar. Add a pinch of emulsifier, such as Dijon mustard, to your oil and vinegar to help them blend and mix more easily. 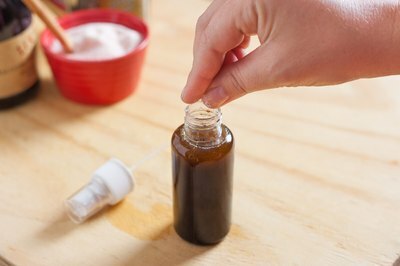 If the oil-vinegar mixture separates, shake the bottle to remix them and ensure even flavor distribution. Do not refrigerate your dressing unless it contains nut-based oils, or other problematic additions, as with some mustards. Refrigeration can cause the mixture to coagulate and become difficult to spray.